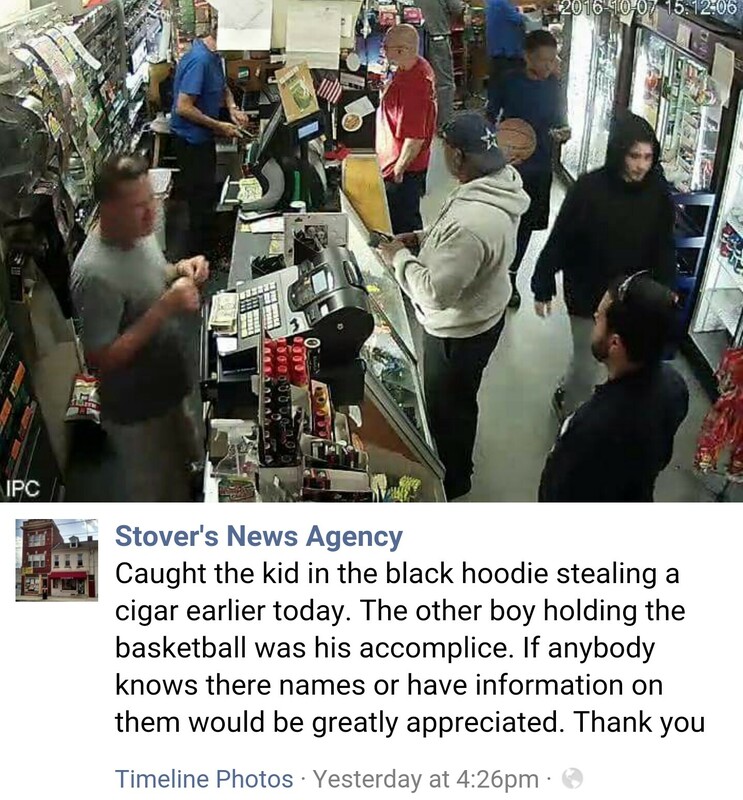 COLUMBIA SPY: Can you identify Stover's shoplifter? I hope someone steps up!! I recognize the other customers, and pray they step forward. Columbia GHETTO is out of control. BTW Ghetto is not racial. The thiefs, Welfare abusers and trash in this Boro Need to Go!!! Obviously, the same commenter stuck on welfare shaming!!! Really!! Get a life. Mind your own business and worry about your own finances. I lived in Columbia all my life, yes there are some questionable characters but Ghetto, hardly. Go to another city like York, Lancaster, Philly, Chicago if you want to see a real ghetto and stop with your extreme HATE talk. And yes, GHETTO is a racial. Get a dictionary - Ghetto " a part of the city, especially a slum area, occupied by a minority group or groups". When you use that word minority is implied. Stop the hate!! People can have beliefs but not thiefs. There, however, can be "thieves." I agree also. I lived in Columbia all my life and there are not any ghettos in Columbia. Go do mission work in the big cities and see what a ghetto is like. Low income,drugs, and alcohol abuse, but there are many in those ghettos that do work full time jobs but lack proper education to better themselves. It is sad that the so called candidates for president are not concern about education, but worry more about condemning each other. God help this country. Hope you find out who the thief is, and who his accomplice is. Those who frequently go to the parks, where they shoot hoops, should keep their eyes open for kids who look like the ones in this picture. You might find them that way. And about the GHETTO/WELFARE remarks, like I've said before, please stop the GHETTO talk. Those who know where the person who is commenting lives, knows why he is saying this all the time. He just hates the neighborhood. Three men go into a motel. The desk clerk said the room was $30, so each man paid $10 and went to the room. A while later, the desk clerk realized the room was only $25, so he sent the bellboy to the three guys' room with $5. On the way, the bellboy couldn't figure out how to split $5 evenly between three men, so he gave each man $1 and kept the other $2 for himself. This meant that the 3 men each paid $9 for the room, which is a total of $27. Add to that the $2 the bellboy kept and the total is $29. Where is the other dollar?